Practical – the diverter is used to switch between the hand shower and the bath filler. To avoid surprises, the diverter automatically switches to the bath filler when the water is turned off. Safe – Temperature Adjustment: An optional Temperature limiter prevents scalding especially around children. 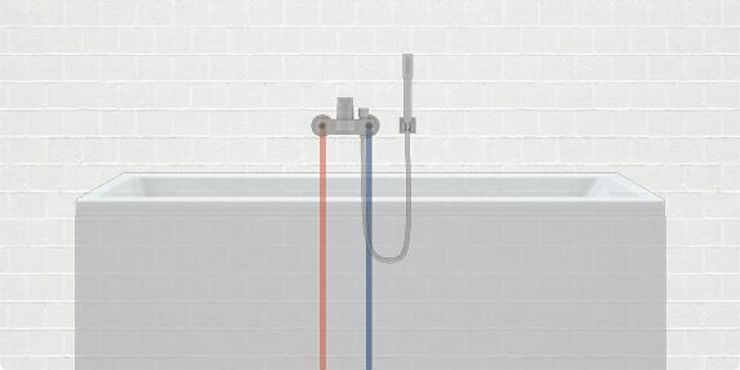 To ensure good functioning of this bath solution, a minimum of 7 l of hot/cold water are required per minute at a dynamic supply pressure of at least 1 bar ahead of the fitting. For faster filling of the bathtub, a higher flow rate is recommended.